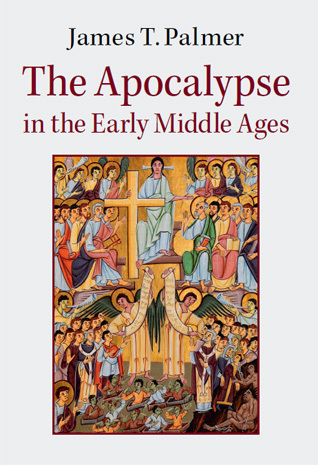 The Apocalypse in the Early Middle Ages was published in November 2014 by Cambridge University Press. It is available in hardback, paperback, and e-book formats. This website was put together to support the book, with short essays on key themes, an introductory bibliography, links to texts, and some podcasts. If you have any thoughts or queries please contact me here. • To what extent did apocalypticism drive social and political change, or even act as a force for stabilisation, in the Middle Ages? • In what contexts and ways was apocalyptic rhetoric employed to inspire change in behaviour? • What roles did apocalypticism play in debates about ‘rationalist’ and ‘superstitious’ thought-worlds? Did, for example, scientific investigations into ‘signs’ such as eclipses quell anxiety or generate new variations of apocalyptic tradition? • Can rhetorical calls to action which rely upon anxiety have positive outcomes which avoid widespread panic or despondency? • In what ways can complex bodies of thought be effectively communicated to shape or legitimise public action? The major output from the project will be a monograph, ‘The Apocalypse in the Early Middle Ages’ (forthcoming), which will be accompanied by a number of articles and this blog. A thoughtful account of one of my arguments can be found here. Hello, my name is Justice Burnaugh. I’m a novelist and write in the apocalyptic genre. I really enjoyed reading some of your articles. There were a lot of fun, and informative reads. I wasn’t aware that scholarly works were being done in this genre. This is much more entertaining than the academic articles I have to read for my ethics class. Thanks for the fun study break!